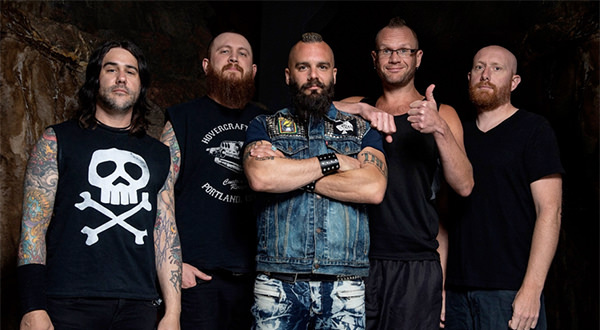 Metal Blade Records is proud to welcome Killswitch Engage to its roster. Partnering with Sony Music Entertainment outside of North America, the band will be releasing their upcoming album in 2019 worldwide. Metal Blade's CEO/founder Brian Slagel comments: "I have been a huge fan and friend of Killswitch for a long time, so it is truly an honor to be able to work with them. So happy to welcome them to the Metal Blade family." Jesse Leach (vocals): "I'm beyond stoked to sign with the legendary Metal Blade Records and Columbia/Sony Music. It's clear they truly understand and believe in what we do as a band, and we're psyched to have them on our side. It's an exciting new chapter for KsE and we can't wait to see what the future holds." Adam Dutkiewicz (guitar): "I'm very excited to say that Killswitch Engage will be joining forces with Metal Blade Records and Columbia/Sony Music! Super stoked to join the ranks with a long list of many epic metal acts, as well as a team of excellent human beings who truly have a genuine love for metal music. Here's to an awesome future with awesome labels!" Benjamin Voss, Senior A&R Manager Columbia/Sony Music Germany: "I am very happy and proud to work with such an amazing band like Killswitch Engage in the future. We are absolutely excited about releasing their new album on Sony Music outside North America." Currently finishing work on their upcoming album, Killswitch Engage have taken a break from recording to embark on a summer European tour with Iron Maiden.